He spent much time here in the 60s after Sir Nicholas Sekers took an interest in him. Sekers was a Hungarian emigre with an expertise in textiles. He and his partner Tomi de Gara fled Budapest in 1937 and set up the Silk Mills in Hensingham on the Eastern edge of Whitehaven as part of a government scheme to attract new industry to areas of high unemployment. They won a government contract for parachute silk in 1940 and after the war began to make luxury furnishing fabrics. 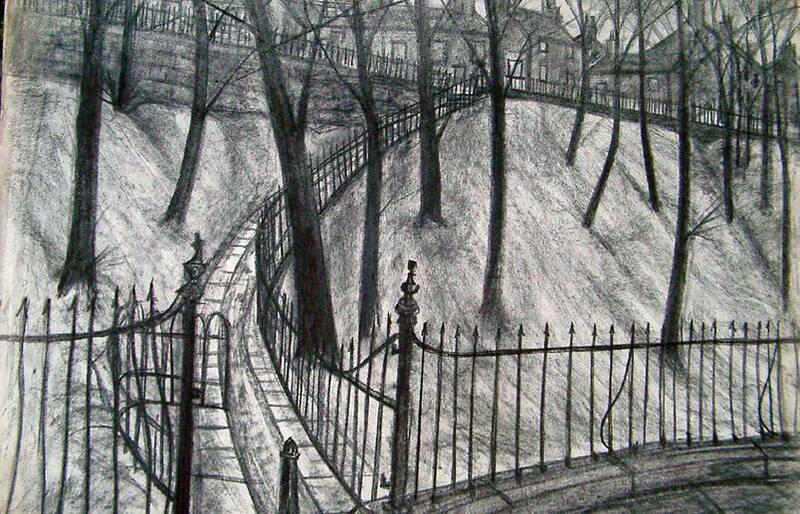 Approached by Kelly in 1964 when he was at Art College, Sekers handed his letter to his works manager with the instruction to politely get rid of him. Bill Hamilton agreed to see him for this purpose but when he caught sight of some drawings in the van he was hooked just like so many of us today, and several hours later he had bought several himself. He mounted a small exhibition in his house at Frizington and invited Sekers who then commissioned Kelly to make paintings of the interiors of the Silk Mill. The buildings have recently been demolished and the site levelled. Whitehaven, built on a grid pattern of streets with some magnificent mansions, has been described as the most complete example of planned Georgian architecture in Europe. It developed under the auspices of Sir John Lowther, MP for 35 years, who was responsible for the new town - the gridiron pattern of the streets- and the harbour which is by far the most elaborate and sheltered on the West Cumbrian Coast. He also developed the mines. 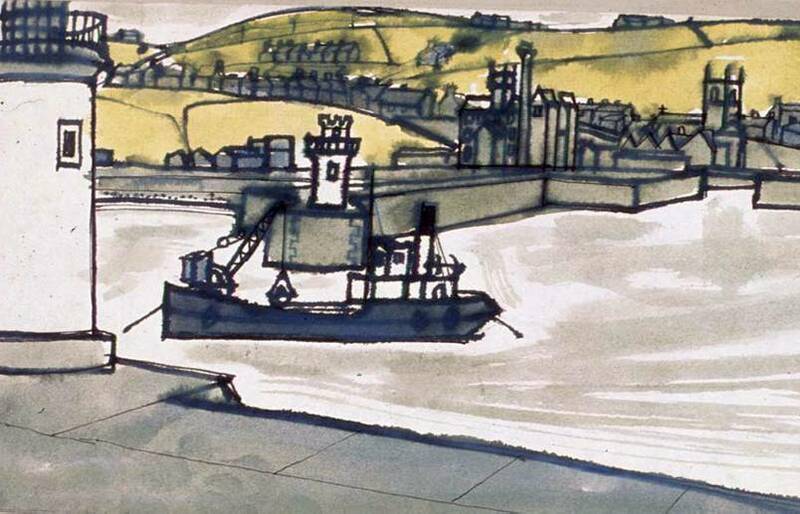 By 1730 Whitehaven had the deepest seams, the latest technology and steam engines for drainage and haulage. In 300 years 70 pits were sunk in the Whitehaven area and 500 people - men and boys lost their lives under land and sea. 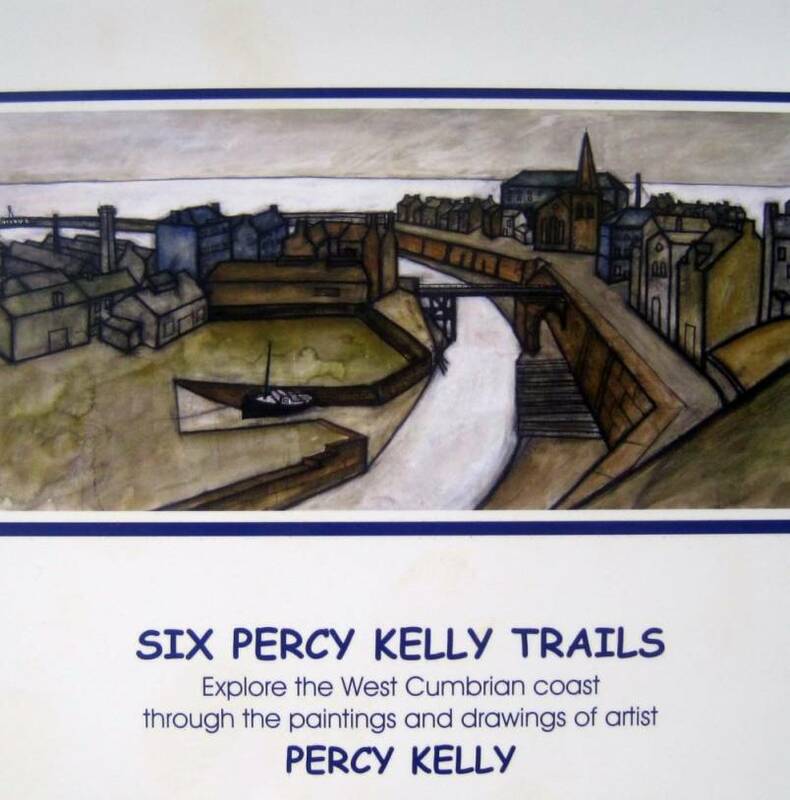 It provided Kelly with unlimited inspiration feeding his love of ships, harbours, machinery, industry and architecture. 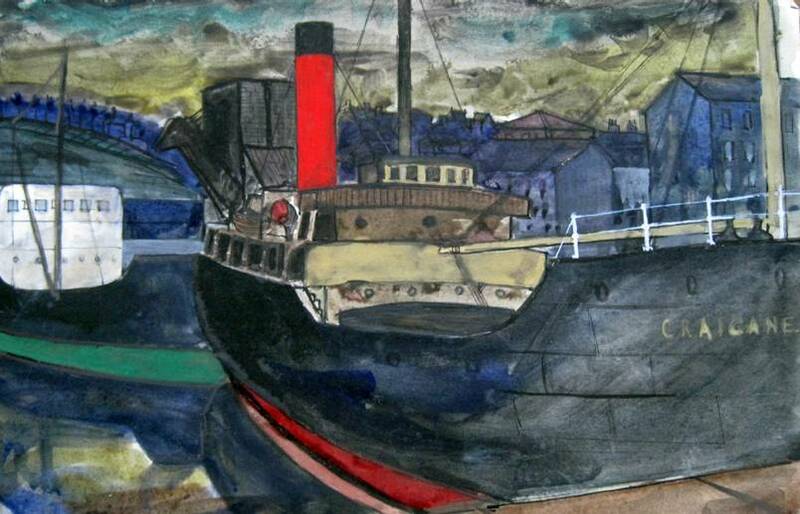 Whitehaven’s industries were trade and mining like the other towns on this mineral-rich coast. Sugar, Rum and Tobacco were imported from the West Indies. The last commercial cargo to leave was in 1992 when Marchon chemical company stopped their phosphate import operation and the last pit closed in 1986. It now depends on tourism and the nuclear plant at Sellafield a few miles south. 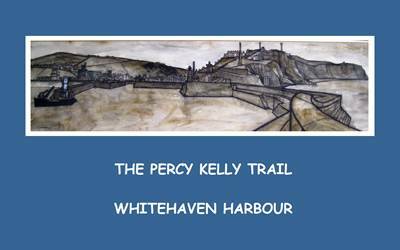 Buy the Whitehaven Harbour Trail online »» Available as a PDF download.